Calling all canine superheroes! Can your dog leap a tall building in a single bound? Does your dog have a little extra energy to burn off? 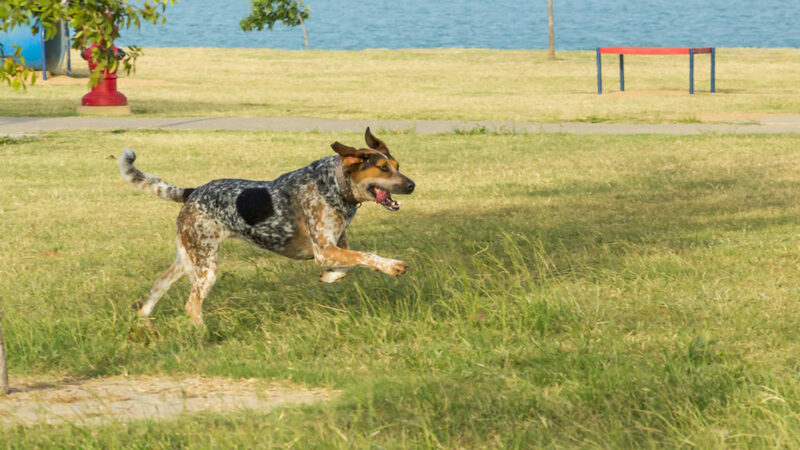 Channel your dog’s energy and athleticism with agility training. We keep it fun, safe, and easy! Disc dogging is a great way to have fun, build impulse control, and show off your super cool dog. Come on out and play! Earn bragging rights (and maybe a title or two) with trick training. Tricks are perfect for building focus and staving off cabin fever, plus they’re just plain fun! Does your dog love to sniff? Put your Sherlock Bones to work finding hidden target scents. Prepare to be amazed as you learn to encourage your dog’s natural instincts and drive to search. Each dog searches individually, so shy dogs are welcome. Get performance ready with our friendly, reward-based classes and workshops on obedience, rally and conformation. Learn to calm your nerves, have fun, build skills, and show off your dog to their best advantage. Agility fun starts here! 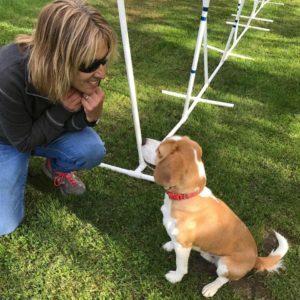 Come try out agility and introduce your pup to obstacles like jumps, tunnels, and contacts to build confidence and lay the foundation for future agility training. Focus is on fun and safety, with some basic handling skills included. Open to puppies and dogs of any age; jumps are kept low for dogs under one year old and seniors. Dogs should be friendly to other dogs and people. Learn how to teach your dog to zoom through tunnels, leap over jumps, complete contact obstacles, and weave through the poles while strengthening your teamwork and handling skills. Don’t worry, dogs can be worked on leash as they learn, but agility training is always more successful if dogs have a desire to work with the handler and are motivated by toys or treats. Open to dogs of any age; dogs under one year will use low jump heights for safety. Dogs should be friendly to other dogs and people. Comfortable on the equipment and familiar with basic handling terms? Now you’re ready to go beyond the foundations to learn some common handling skills and increase obstacle independence. It’s time to practice longer sequence work and refine your handling skills. Students will also practice formulating handling plans and have lots of access to the weave poles and teeter. Practice makes perfect with these two tricky obstacles! Open agility allows handlers and dogs access to a full agility course including contact obstacles. To get the most out of Open Agility, dogs should be proficient on all obstacles. Instructors will be on hand to offer handling suggestions, critiques and coaching. Because this course is designed for more advanced teams, there will be no obstacle instruction. Students from lower levels with instructor approval may attend and practice short sequences and obstacles found within the full course. Unleash your dog’s inner Pet Star by learning a variety of fun tricks! Open to dogs six months and up of any skill level. Dogs should be friendly to other dogs and people. 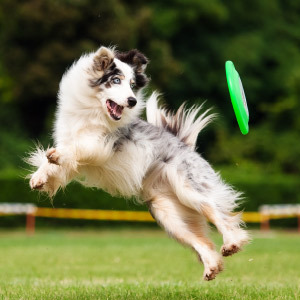 You’ll have the coolest dog in town when you show off your frisbee skills. 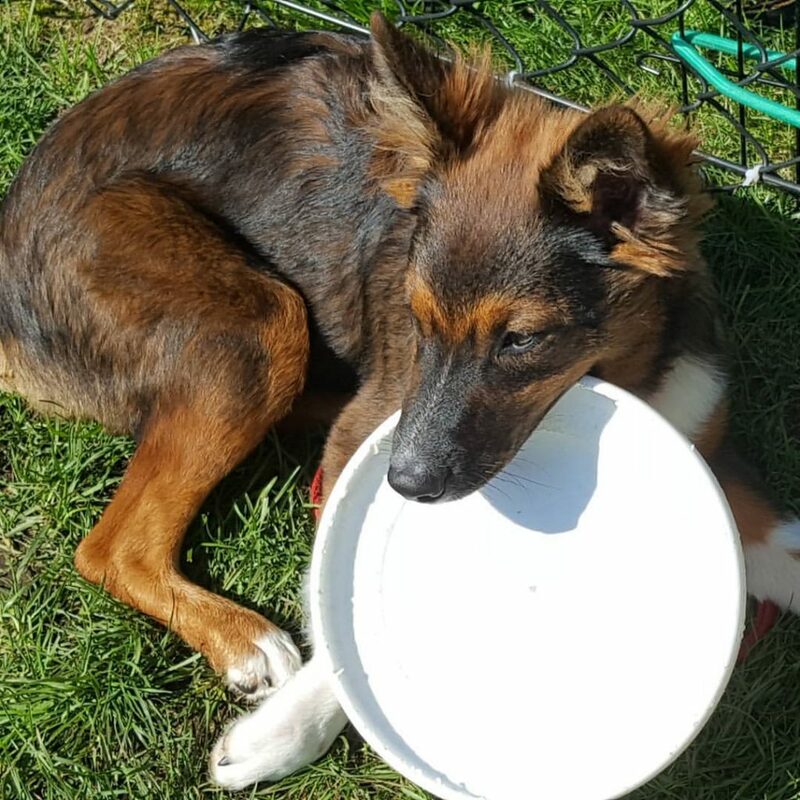 Build your dog’s drive and interest in the disc, learn how to throw for success, and, as an added bonus, get better impulse control! Open to dogs six months and up of any skill level. Dogs should be friendly to other dogs and people. 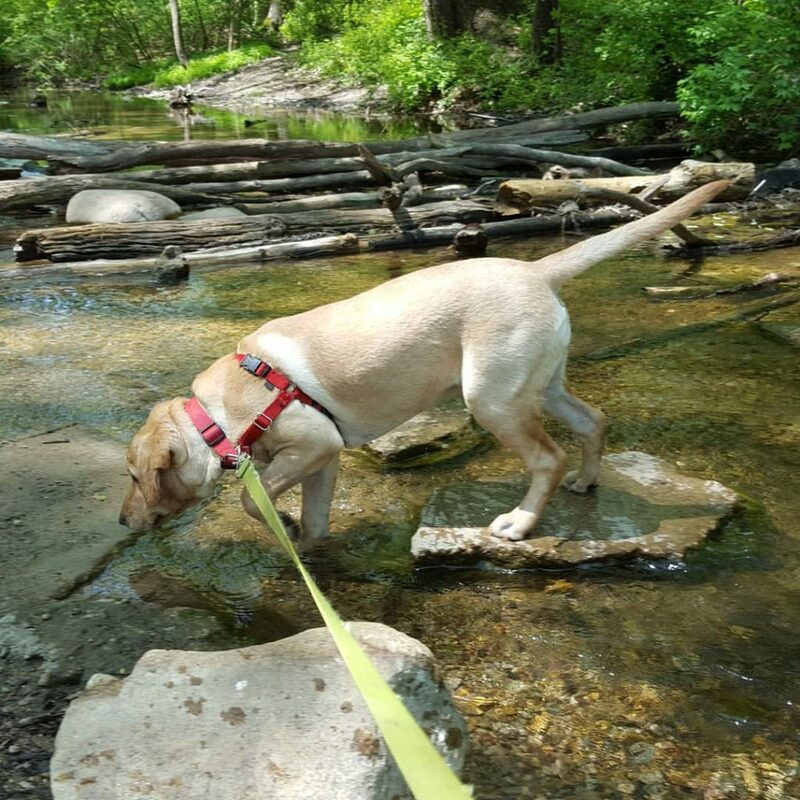 If your dog thinks water and toys are the best things ever, check out our workshops and classes on Dock Jumping and Intro to Water and Retrieving. Open to dogs six months and up. Dogs should be friendly to other dogs and people. Versatility is the name of the game as we build focus and precision through targeting and platform training, scent work and retrieving, and jump wrapping. Learn tons of new skills for everyday life (perfect heeling, anyone?) and for dog sports like agility, obedience, rally, and trick training. Open to dogs of any age and skill level. Experienced teams will get more challenges to keep the fun going. Improve your leash walking and stay skills by navigating rally course sequences. No boring drills here! The beginner class will focus on learning the behaviors to complete the different rally signs and transition from station to station. The advanced class will offer several different rally courses and provide a trial-like experience with less emphasis on learning individual signs. Rally classes are recommended for dogs over six months old who can sit and lay down on cue and have started working on stay, come when called, and leash walking. Happy with how your training has been going and thinking of moving to the ring? This is the class for you! We will review everything from rules to ring entrances and exits and everything in between. Be prepared to work on yourself with timing and cues for the dog as well as working on the “other side” where you will practice calling out patterns and reviewing your peers to make this class as close to the actual ring experience as we can. In this class you and your dog will be introduced to the sport of nosework. Your dog will learn to work independently from you, gain confidence and above all have fun finding hidden scents. 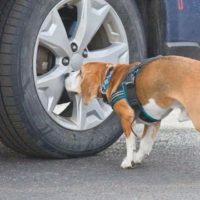 Your dog will love solving new sniffing puzzles, including searching different containers, building exteriors, and vehicle exteriors. Recommended for dogs who have completed Nosework 1 or have equivalent scent training. This mini class will focus on teaching your dog to find your scent on a glove or sock! 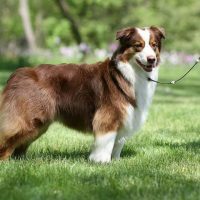 Whether you want to entertain your friends or are showing in UKC or AKC, Handler Discrimination is a fun journey for you and your dog. Open to dogs of all ages and skill levels. This is a drop-in class for dogs already on odor who want to practice specific skills and/or elements. $10 per night, registration required. This workshop is for anyone interested in showing your dog in conformation (evaluating the dog’s overall appearance and structure). We will cover the basics of stacking, attention, gaiting, and getting comfortable with being examined and handled by a judge. Workshop meets one time for one hour.